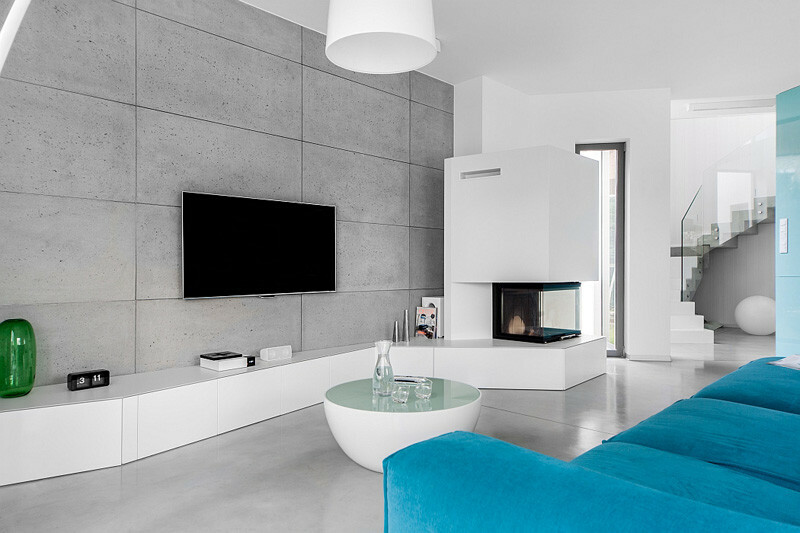 Widawscy Studio Architektury have designed the interiors of a home in Poland, for a family of five, that is all about white, blues and concrete. 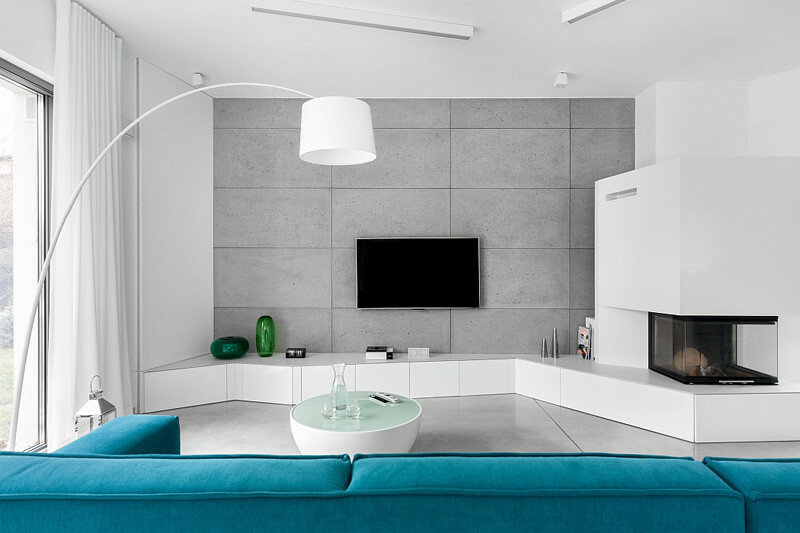 The clients wanted to have a space that was modern, with a combination of premium quality and design. 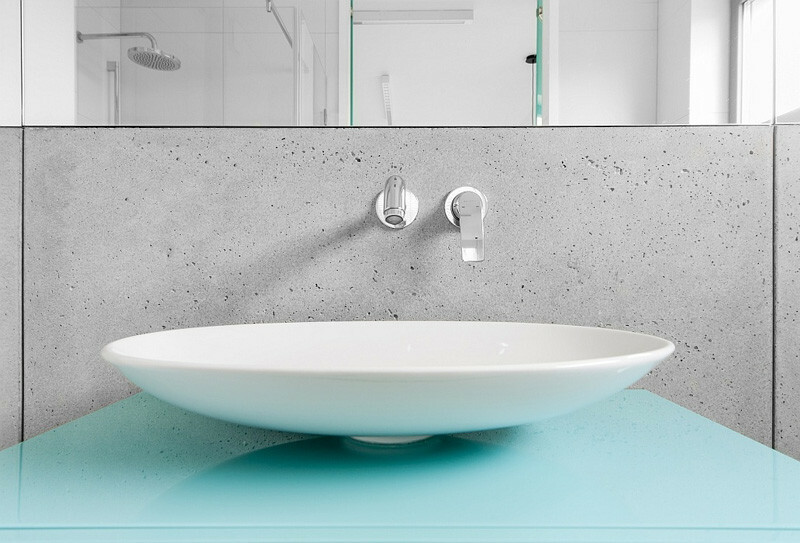 Custom elements have been built throughout the home, like the cabinetry lining the wall. 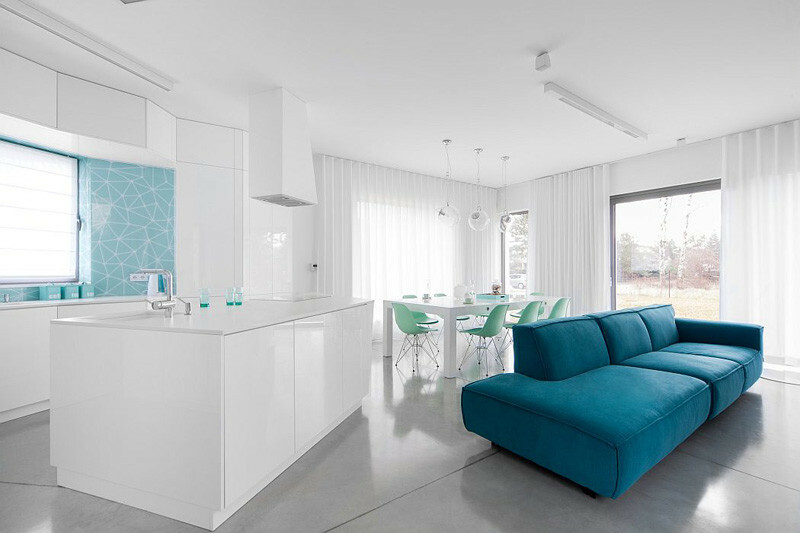 The bright and spacious interior has been kept white, with blue accents used throughout the home, while the floor is polished concrete. 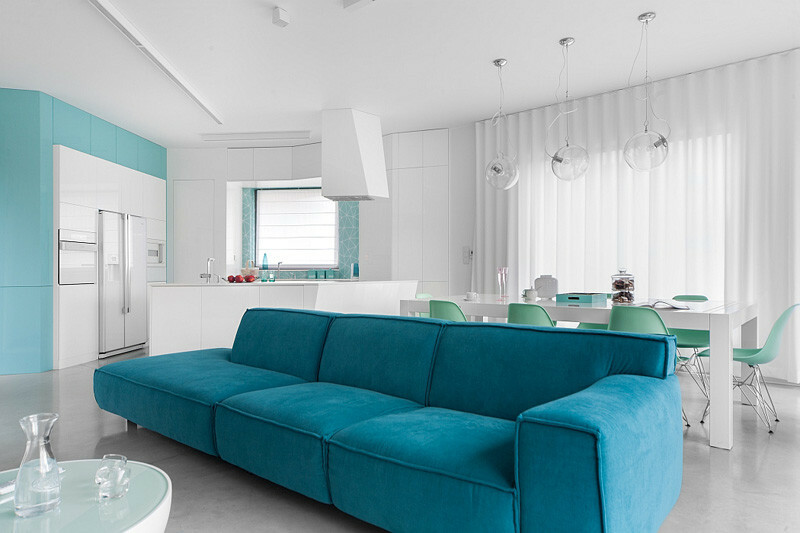 The open plan design is perfect for entertaining, with the various blues helping to define each space. 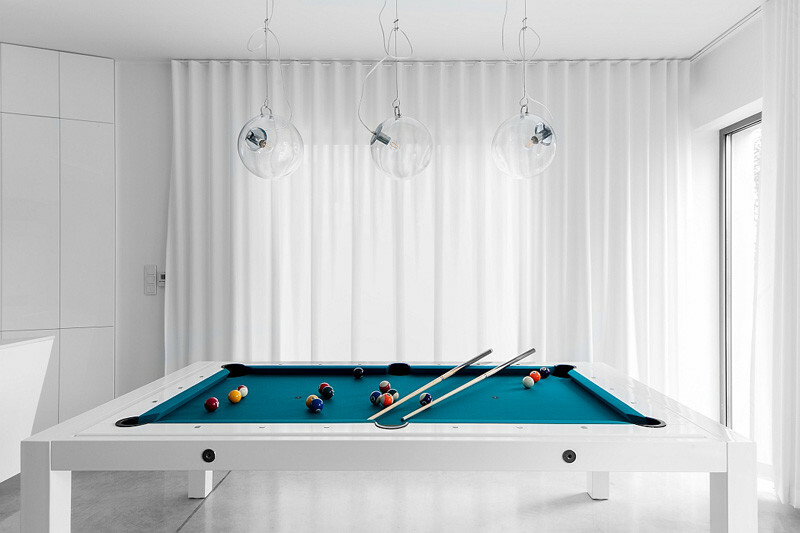 The dining table hides a secret….it’s also a pool table. 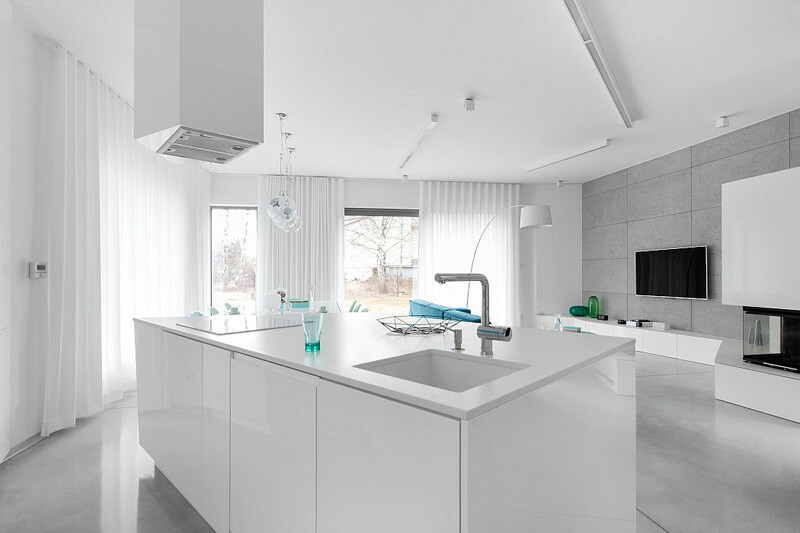 In the kitchen, they used the same cabinets that are underneath the TV, and they also included all-white appliances. 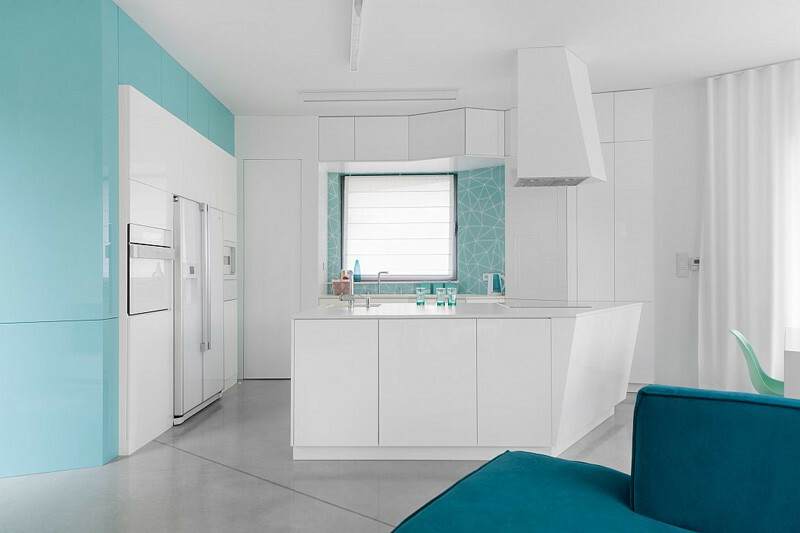 The range hood above the kitchen island has been designed to match the angular cabinets. 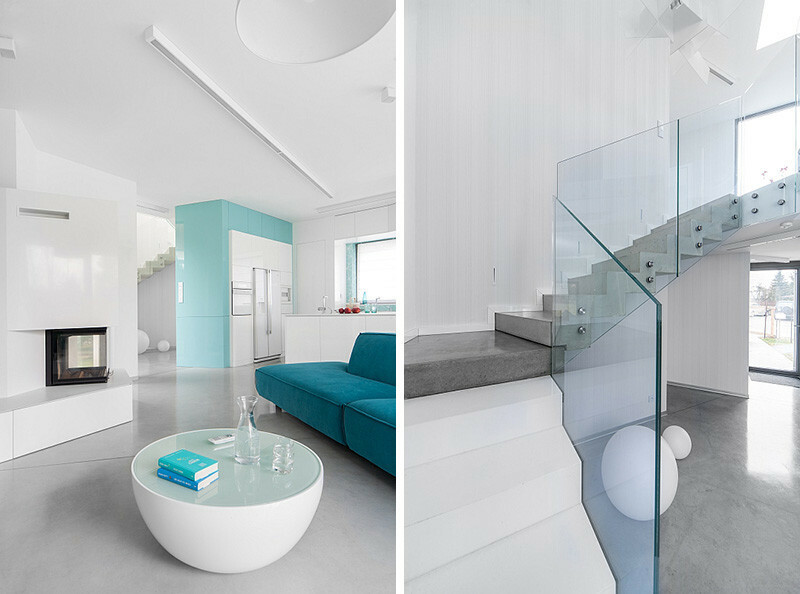 The stairs are a combination of white, concrete and glass. 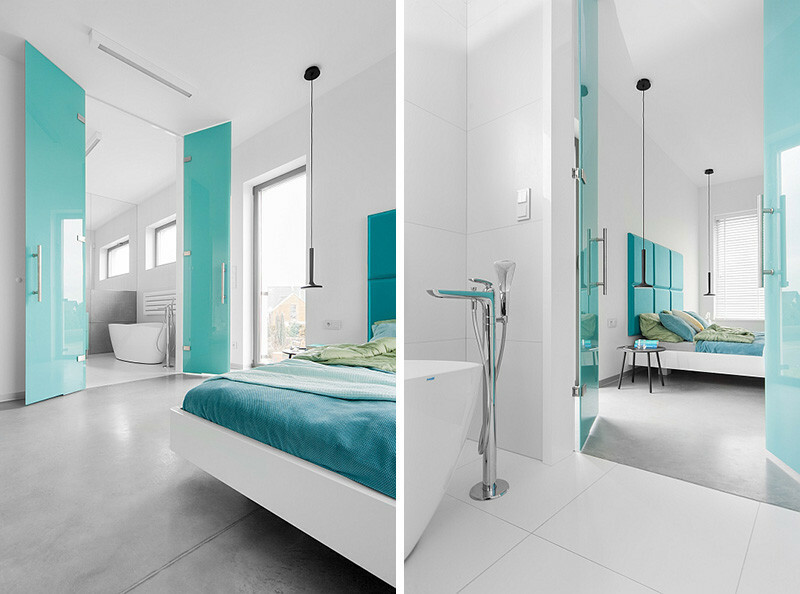 In the master bedroom, the bed appears to float. 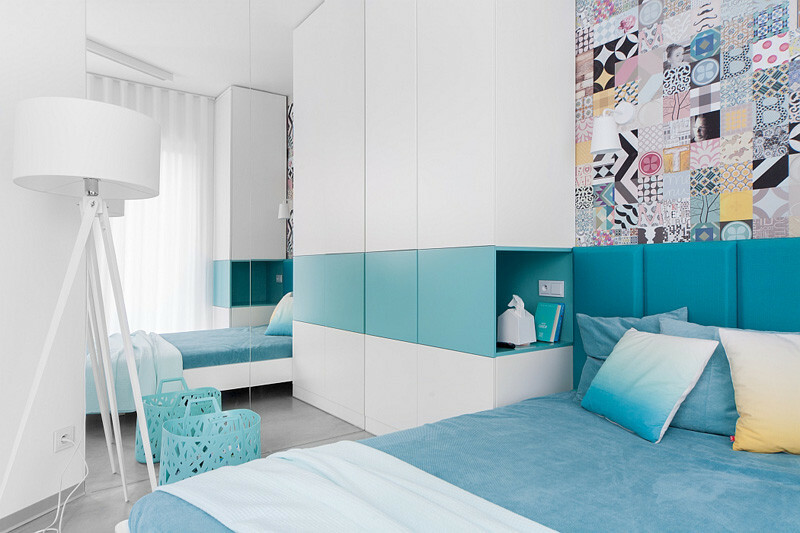 A graphic wallpaper print defines the small desk/vanity in the master bedroom. 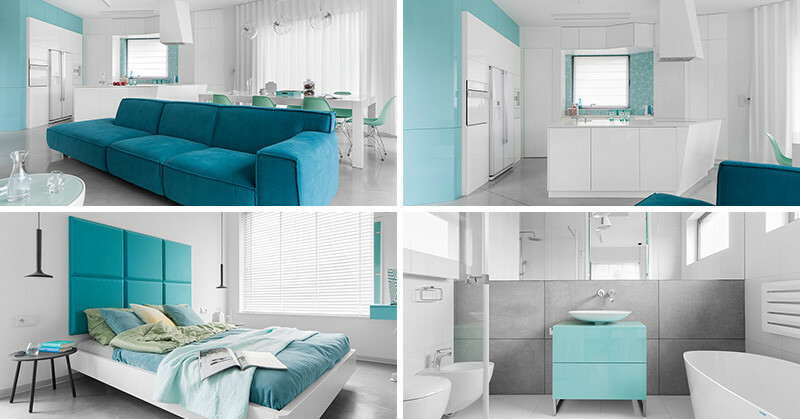 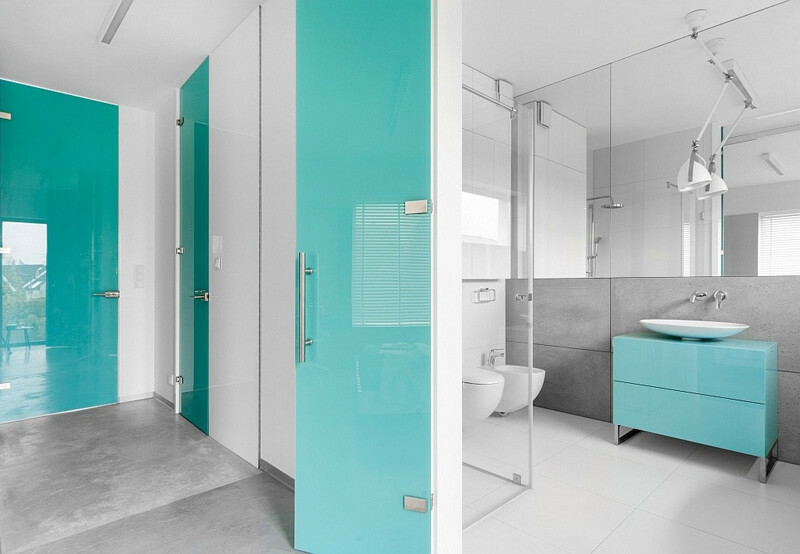 The master bathroom has full height turquoise glass doors. 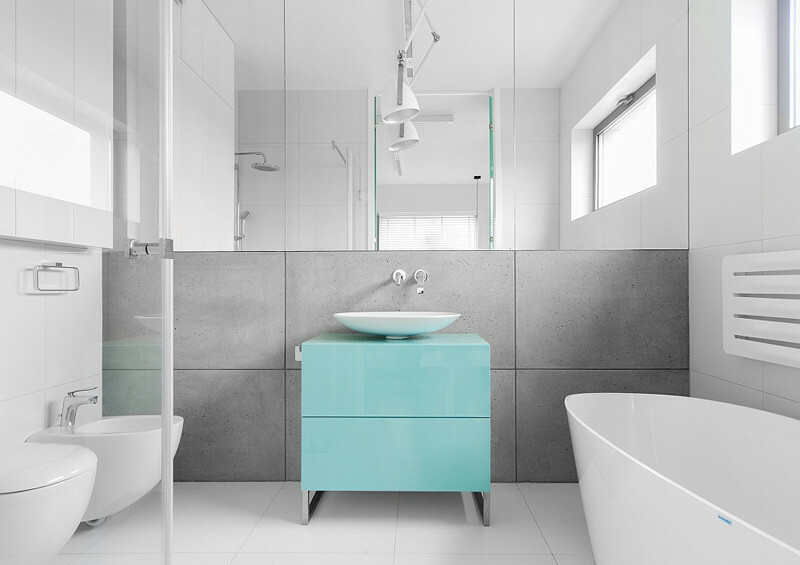 Inside the bathroom, only the doors and the bathroom vanity have been kept blue.